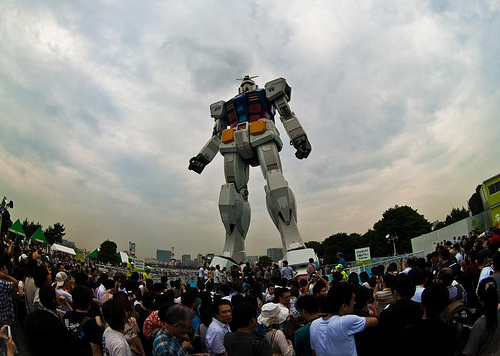 To celebrate the 30th anniversary of the Gundam franchise, 18-meter-tall (59-foot-tall) RX-78 was built in Odaiba’s Shiokaze Park, Japan last month. My love for Gundam started when I was very young. The whole giant robo genre always mesmerized my best friend and I. 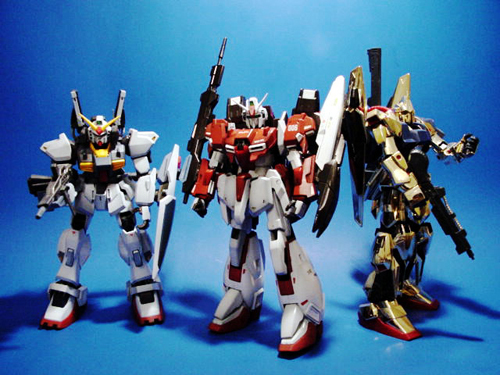 As I grew older, many of my old hobbies and interests faded, except for Gundam. It’s hard to explain this particular obsession of mine. Sometimes even I wonder why I act like a little boy when surrounded by my robot toys and figures. I just turned 33 years old. 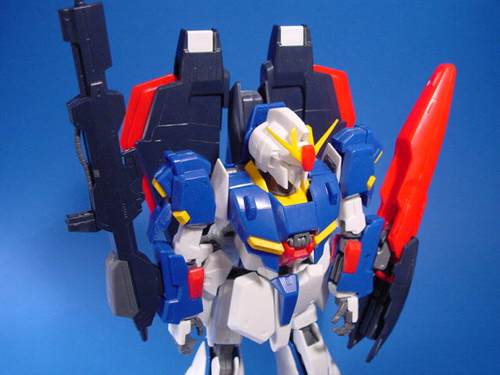 After some soul searching, I’ve concluded that the affinity I have for Gundam will always be there. 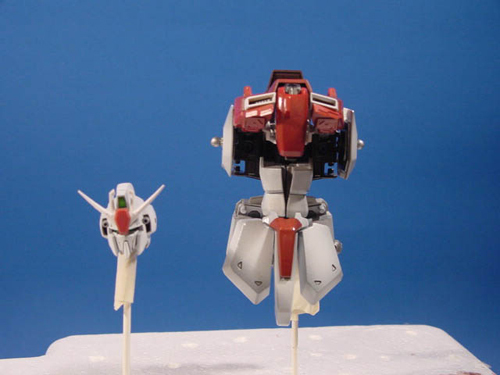 Gundam, and other robots I love give me a sense of comfort. This sense of comfort has varied at different phases of my life. 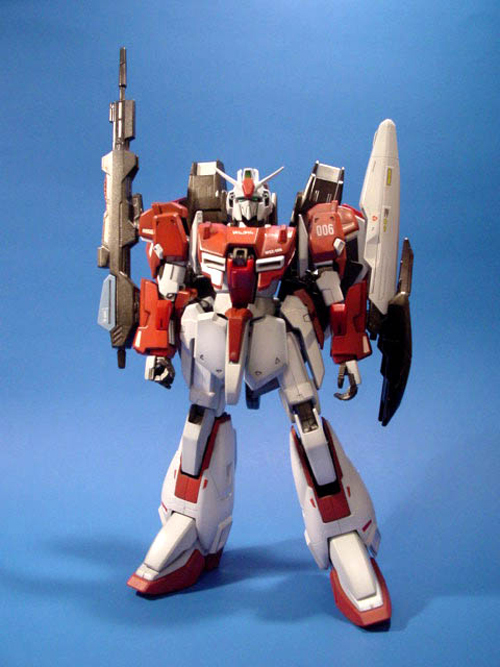 When I was a kid, I didn’t have any Gundam toys and the cartoons weren’t available. In fact, I didn’t have a lot toys at all. My childhood best friend and I used to collect Gundam stickers and comic books. We’d use our imagination and made up our own giant robo fighting scenes. We spent hours talking about how cool it’d be if we were Gundam pilots, fighting evil. When I got older, having watched most of the Gundam series, I gained appreciation for the plot, beyond the battle scenes. Most Gundam series share the same plot: the struggle between two political forces, neither is good or evil, but both are driven by pride and power. There’s always one dangerously idealistic vigilante who tries to achieve greater good by committing an atrocious act. He/she of course, gets stopped by the heroic and often troubled Gundam pilots. I enjoyed the subtext and political overtone. 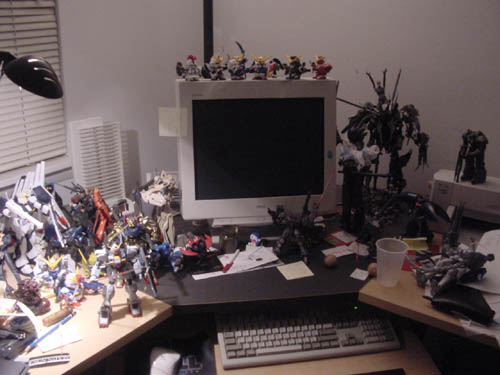 During my college years when I started making money from freelance web work, I fulfilled my childhood dream: owning a lots ‘n lotsa of Gundam models and toys. 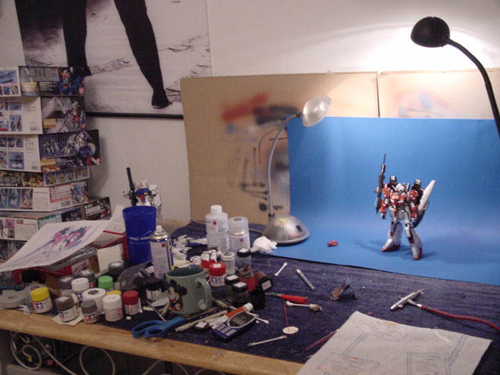 Gundam at the time, symbolized my financial independence and served as my muse while I worked. I seriously doubt I’ll ever be able to finish all the Gundam models I’ve collected over the years. After my first son was born, most of my Gundams were put in storage. Now that my kids are older, I think it’s time to bring them out for some father-son projects. See, Gundams keep on giving. Perhaps, the reason I’m so attached to Gundam is the memories it’s associated with: childhood, friendship, care-free single days, painting late at night and now, enjoying it with my kids. Do you have a childhood obsession that you never grew out of? I think there’s a Peter Pan side in all of us. Scooby Doo, is mine. It makes me feel comfortable and safe and child-like whenever I watch it. I’ve grown out of so many things from my childhood, but Scooby Doo and certain books are the only things I still have a place in my heart for. I thought the Chinese hated the Japanese? Great Read Jin. For me it’s always been lego’s. My dad would bring me home the little sets that only had like 1 guy and maybe a car or horse and I still have all of them. @Bryan, In Asian all hate for your neighbor is put aside in the presence of giant robots. As a matter of fact, my brother used to collect Gundams, as did some of my friends. I wanted to as well; however, as the girl, instead I tended to receive gifts of horse models and whatnot. I remember receiving my first Zoid model though; it was a raptor robot, I remember, and I still have it, although one of my nephews broke off a part of one of its feet, so it doesn’t stand up as well now. Gundam itself was a very well-done anime, as are many animes. On an unrelated note, I kind of feel like many people see the animation of anime and write it off as simply “cartoons” (my parents did this). The truth is, however, I feel that anime is aimed at a much different audience than Tom and Jerry or similar cartoons; it has much more adult undertones to it, such as the religious ones in Angel Sanctuary or the complex politics in Blue Gender. It is an artform of literature; it describes human struggle, virtues, and things of the sort. @teeth, thanks. I plan to take all my models/figures out once I’m done with my office renovation. I miss my crew. @Anna, Scooby Doo is so timeless. @Bryan, no. But I’m sure some older generations will have a grudge because of WW2. @Kim, I have a huge collection of Zoids. They’re toys figures than model kits. I think you’re correct about Amiercans’ perception on Anime, especially among older people. But I think anime definitely have gained more exposure here in recent years. The voice acting is so much better compared to the old fan-sub days. There are so many types of anime. To me, the well done anime is like a graphics novel with great stories and characters. My fav besides Gundam, are Macross, Trigun, Cowboy Bebop, Lain, Ninja Scroll and many more. I’m also a fan of Animatrix too, great art styles. Yah – Trigun and Cowboy Bebop are definite classics; I think my favorite overall though was definitely Trigun. I liked its light-hearted side, as well as the feeling of a futuristic Old West kind of deal. Wow Jin. I’ve been collecting Capcom / SNK fighting game figures and Transformers for quite a while. 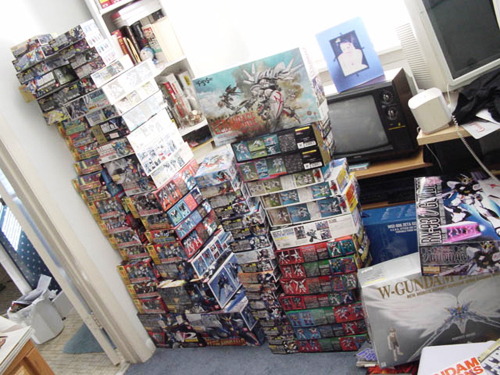 But your collection of Gundams takes the cake. 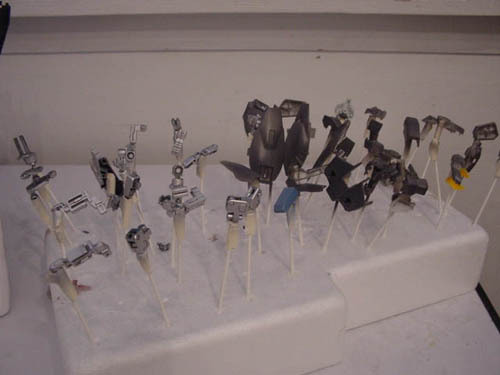 Except for I don’t paint the parts while they’re on the sprue. I paint each part individually. I painted the pieces with a darker color coat first, then airbrush the regular color. This gives a nice gradient. Your megatron is a toy or model? If it’s a toy you may want to sandpaper down the whole thing, putty then spray with a coat of primer before you paint. @Jin The Megatron I need to paint is the voyager figure from the second movie toyline. For some odd reason the base color of that toy is green… Ya exactly, I don’t know what the toy designers were thinking either. Ever since childhood, there has been a special place in my heart for Robotech, a series that pretty much started my love of the mecha genre as an 8 year-old. After I got married, my husband just so happened to have a bunch of the books for the Robotech roleplaying system released by Palladium Books back in the 80′s. Though the books had a lot of typos that would often cause balance issues, the pen-and-paper RPGs filled a void.